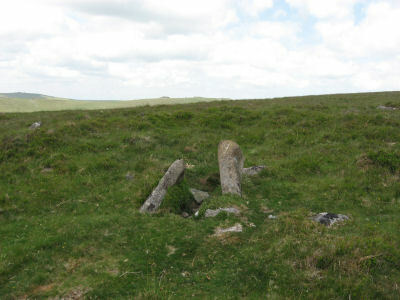 This site is featured on the Okehampton: Belstone and Cosdon Hill walk. 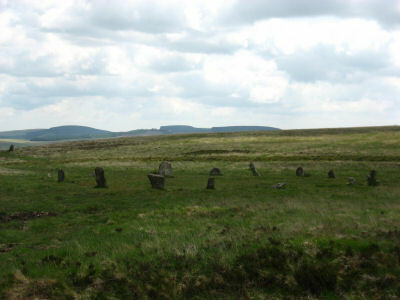 The photos are of the Little Hound Tor Stone Circle and the White Moor Stone. (SX63278961 Butler Vol. 2. Map 40, 5). 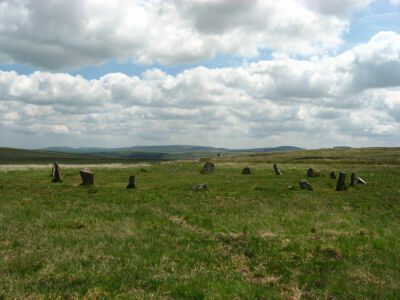 The circle is in good condition today but only 13 stones remained standing when the Dartmoor Exploration Committee re-erected 5 of the stones in 1896. 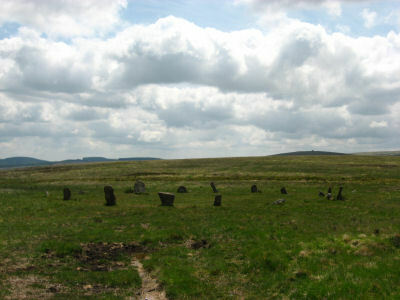 The site is a fairly accurate circle of circumference 20.2m. 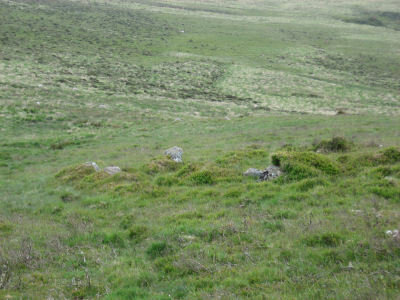 A cairn lies close to the circle, a heather covered mound about 8.5m across. 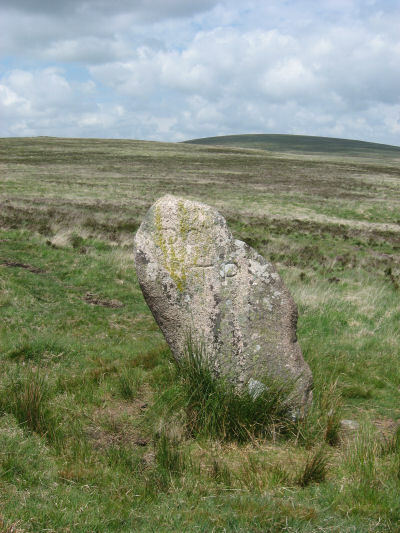 The White Moor stone lies 160m to the SE of the circle and it is thought to be contemporary with the circle but probably out of position having been re-erected at some point. 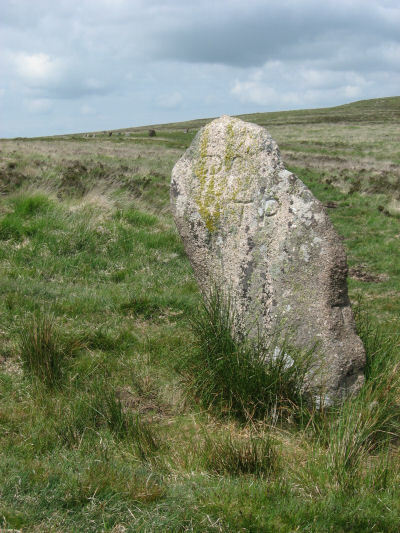 It is now a boundary marker. 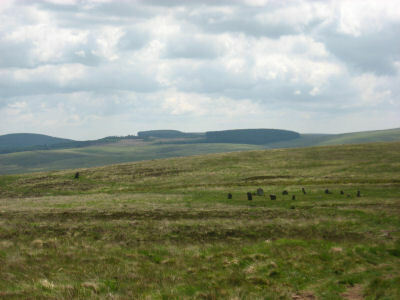 These photos were taken on the 13th June 2010.